who want to learn the Yoga Scriptures - the source of Yoga Philosophy. Practical Training - Organizing and conducting Yoga Classes. for Concentration and purposeful living. Time – Every Sunday – 7.30 to 9.30 am. 1. Kaushalam: 12th January 2018 Morning 6.00 all our Yoga practitioners attended the programme. Srinivas addressed the participants as per the points given by the HQs.We combined Samartha Bharata Parva along with Swami Vivekananda's message. 2. 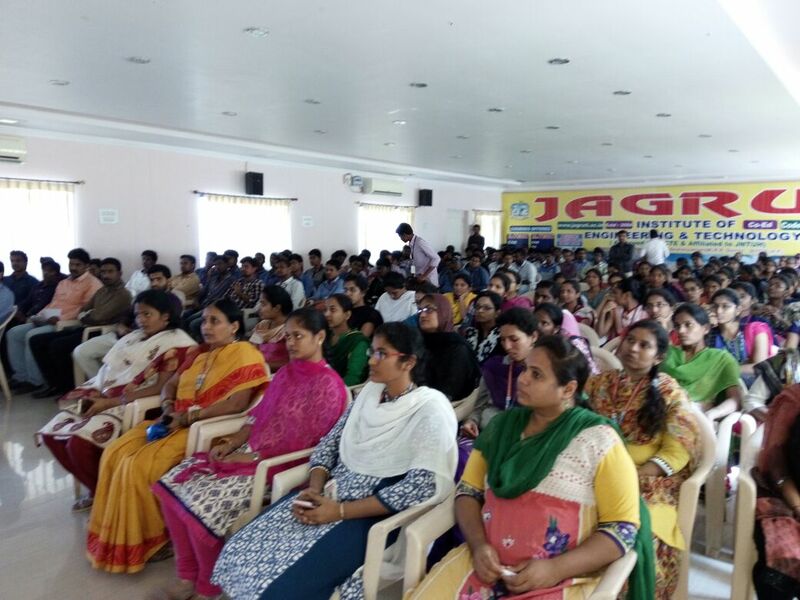 Jagruti Engineering College, Hyderabad on 11th January 2018 More than 250 students participated in the programme. 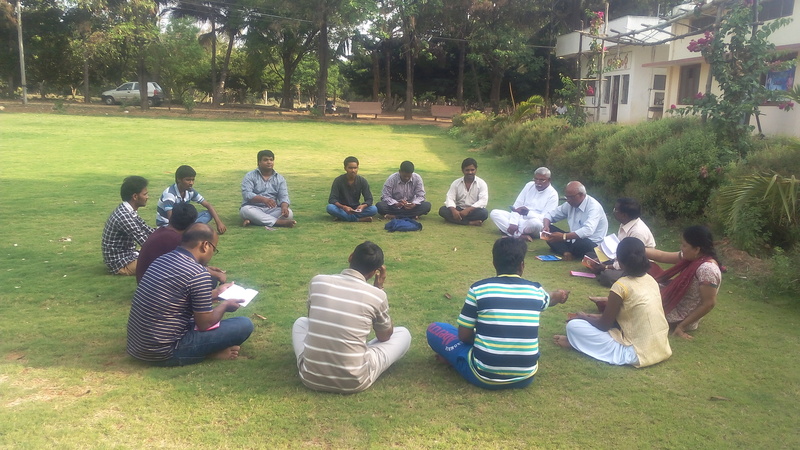 Samartha Bharata Parva along with Swamiji's message was passed to the students and the faculty members of the College. 3. As a part of Swami Vivekananda Jayanty we had one day Spiritual Retreat at Kaushalam on 13th January 2018. Ravi Sharma ji took the sessions. Who are you? An officer ? A student ? A struggling youth? A retired person? The funny guy? The nice girl? Father, mother, son, daughter………all these identities were either acquired by you or were superimposed on you…………But, there is one identity you don’t have to earn and which cannot be taken away from you…. Explore the reality, understand, identify and know yourself. This is the first step for spiritual self growth, Harmony, Peace and freedom. Retreat – The aim of the Yoga-Vedanta retreat is to equip the campers with methods of the requisite training to enable them in their endeavour to blossom into truly humane, serviceful, integrated personalities, so that they succeed, at least in an appreciable measure, in living a life of goodness and wholeness personally, and of dedication, unselfish cooperation and constructive work socially. It needs no special mention that this achievement in one’s own person and in society is obviously rooted to the extent to which one’s practical life is attuned to the Ultimate Reality of the Universe. Philosophical discipline, thus, is the precondition for leading a perfectly sociable, ethical and progressive life of an onward expansion towards the realisation of the Supreme Goal of existence. Adults – above 18 years..
Vivekananda Kendra Kaushalam – a Yoga Vedanta Retreat Center and Center for Human Excellence, is a project of Vivekananda Rock Memorial and Vivekananda Kendra, Kanyakumari. 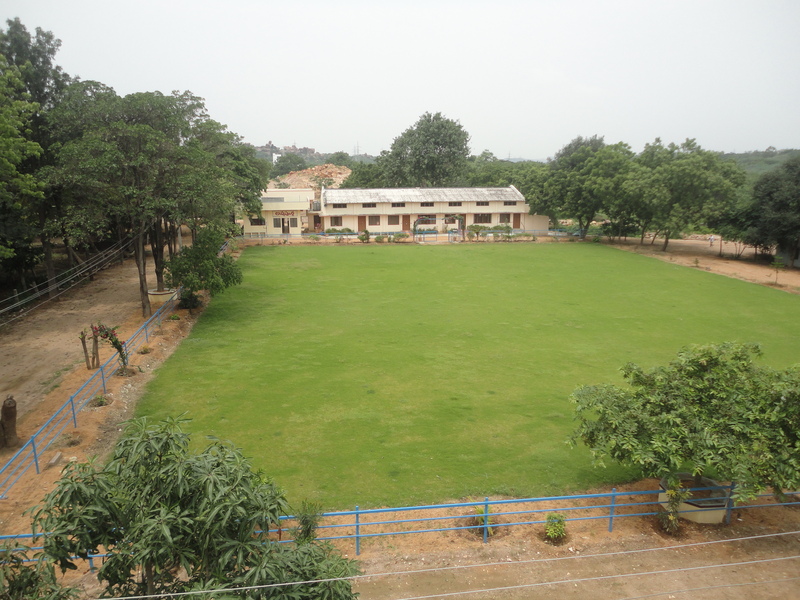 Vivekananda Kendra Kaushalam is a sprawling three acre campus of green and natural surroundings, near the historic Taramati Baradari – Golconda Fort. An ideal place for introspection and insight, Kendra conducts short term Yoga – Vedanta camps and retreats in a Gurukul-like atmosphere. The Day/overnight / weekend and 5 days retreats and Yoga camps provide an intense retreat experience by taking you out from your regular environment and helping in serious understanding about yourself….it not only gives you an opportunity for change but also provides time for introspection. In the retreat, you participate in Meditation, Pranayama, and Yogasana. Day Retreat can accommodate up to 70 people. Each over-night retreat can accommodate30 people. Organisation/ companies / societies can use the retreat site for spiritual programmes. Excellence is the expression of the best that is in an individual. This expression happens naturally when an individual begins living for something bigger than himself. This gradual expansion is from Individual to Family to Society to Nation to Creation. These are the expanding circles of consciousness which lead to Excellence. Hence, Excellence through Expansion. Human Excellence Training Center is a project of Vivekananda Kendra Kanyakumari – a spiritually oriented service mission – which is serving the nation since 1972 through its over 220 branch centers including 65 schools and 4 hospitals. Its thrust areas are Education, Culture and Sustainable Development. 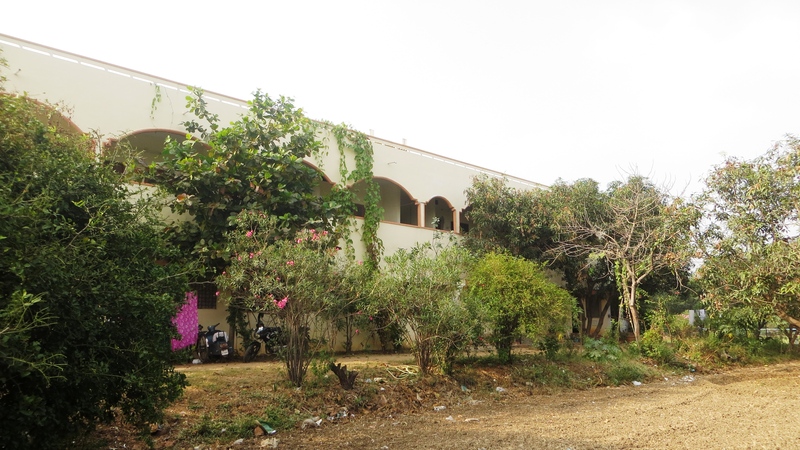 Human Excellence Training Center is located at Hyderabad, India, in sprawling three acre greenery and natural surroundings, near the historic Golconda Fort, at the banks of Musi River. 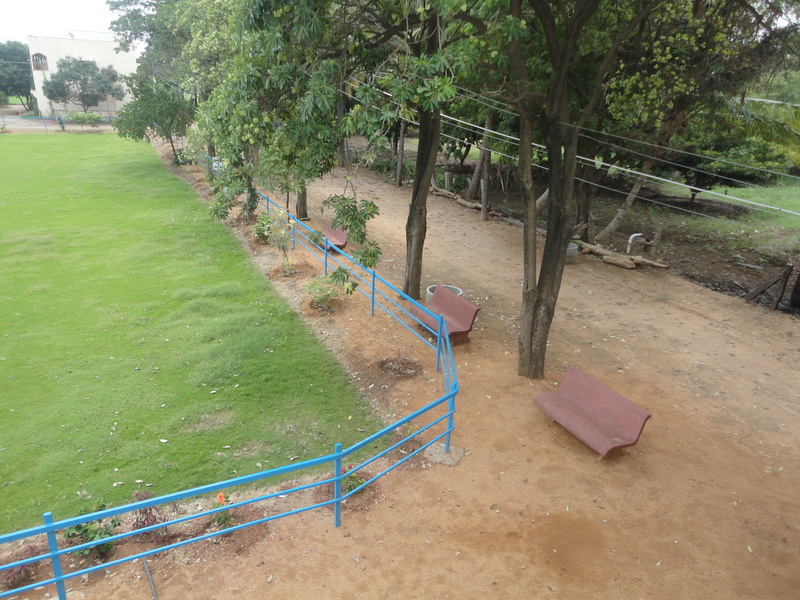 An ideal place for introspection and insight, it has the potential in itself to transform lives for better. Human Excellence Training Center imparts training to Industries, Businesses, Organizations, Educational Institutions, Families, Women, Youth and Students. These training programs are residential and non-residential. Programs are conducted at Center’s premises “Kaushalam” and also at the client’s premises. “Beyond Success” – a transformational workshop. A three-day residential/non-residential program for the industries, businesses and organizations to help the managers/employees. 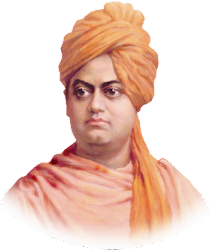 Based on the timeless spiritual findings of Swami Vivekananda, who himself was an epitome of success, and went beyond success to make himself relevant for all at all times, this workshop can help your middle management and above to re-align their lives to the original direction and help them individually as a person, and organizationally as an executive to grow and contribute more effectively and happily to the organizational goal. A two day residential/non-residential program for educational institutions and training organizations to help the teachers/trainers to know and apply their real power in their highly potential profession. It includes inspiring interactive lecture sessions and allied activities. A two day residential/non-residential program for young couples to look at their married life with the right perspective and its original aims, and to live the happy and contented life of togetherness. A must for today’s threatened values of life. A five day non-residential program for school and college students to help them look at the exams with the right spirit and face them in the right frame of mind for effective performance in exams in particular and life in general. Highly popular amongst the students. Also it’s a tool for personality development. Apart from this, short non-residential programs for Work-life balance, Productivity, Conflict in work place, Ethical leadership, Inter-relationships, Corporate-communication, Organization building, Time-Energy management, Goal setting, Emotional Management and Synergy are available. Faculty is drawn from the academic, business, judiciary, professional, social-service, administrative, corporate and allied fields. The campus of Human Excellence Training Center is called “Kaushalam”meaning skill in action. 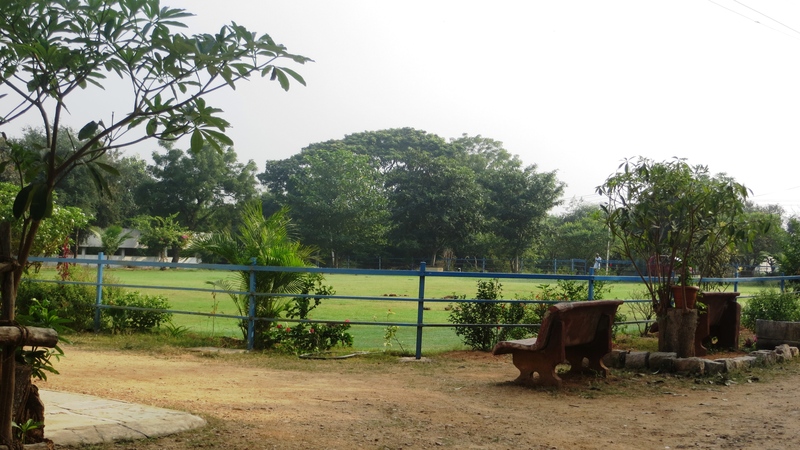 Its three acres are filled with lush green trees and natural undulations. 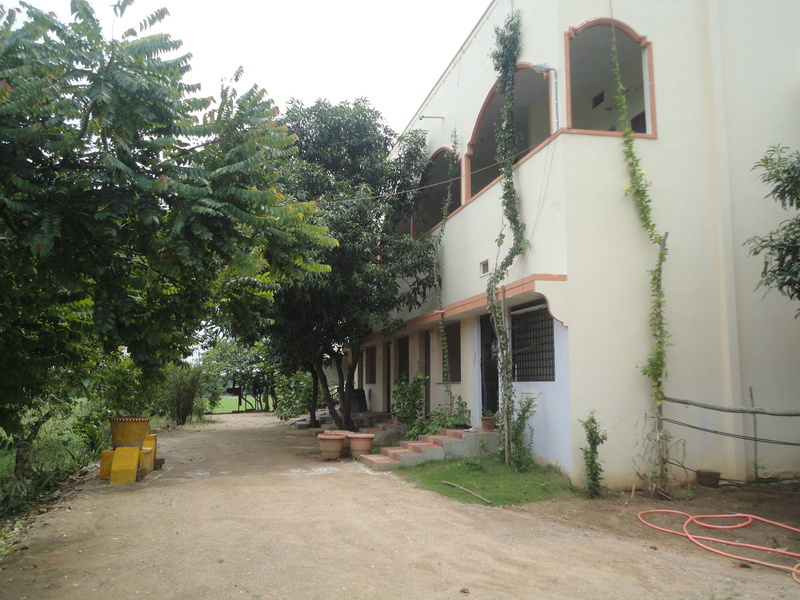 “Kaushalam” has residential facility for 60 participants. 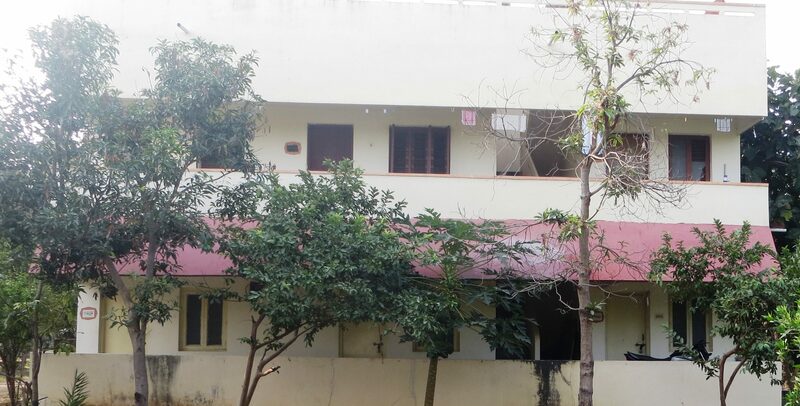 Rooms are all attached with all basic facilities. 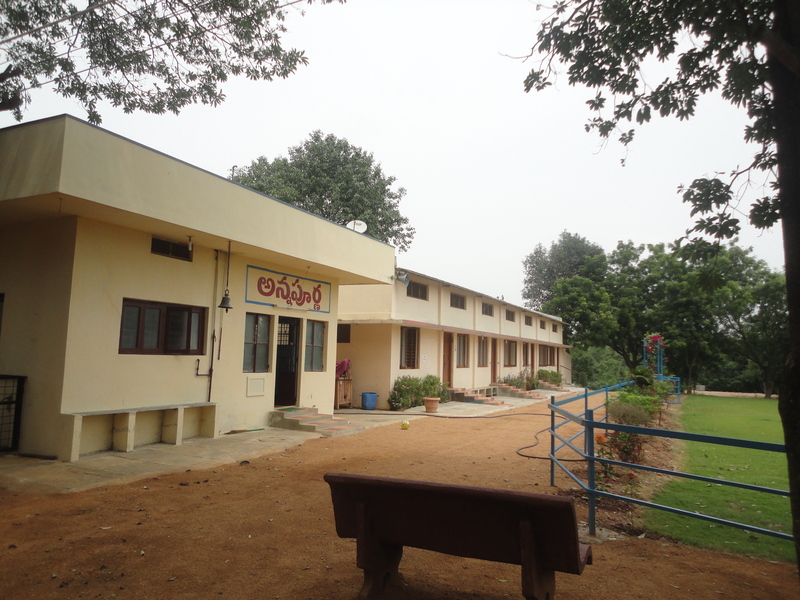 “Kaushalam” has its own water purification plant and a kitchen which can cook organic and traditional foods. The milk comes from the famous indigenous breed of cows – Gir. We are happy to present the report of activities of Vivekananda Kendra Kanyakumari Branch Hyderabad for the year 2012-13. Some Highlights are also presented for your kind information. On average 6 yoga classes were conducted daily throughout year. Monthly Annapooja was organised throughout year where 200 kg rice and other food items were given to needy people. Saraswati pooja – was conducted about 90 students participated in the programme. Gita Jayanti- was celebrated with full reading of Bhagwad Gita and discourse on the occasion. Bhogi celebration was organised about 40 people attended the programme. Had the meeting and finalized the Accounts. Pre Audited Final statements and Accounts along with data submitted to Head Quarter on 31.32013. * Yoga Class / other courses/Satsang/Gita Chanting etc.